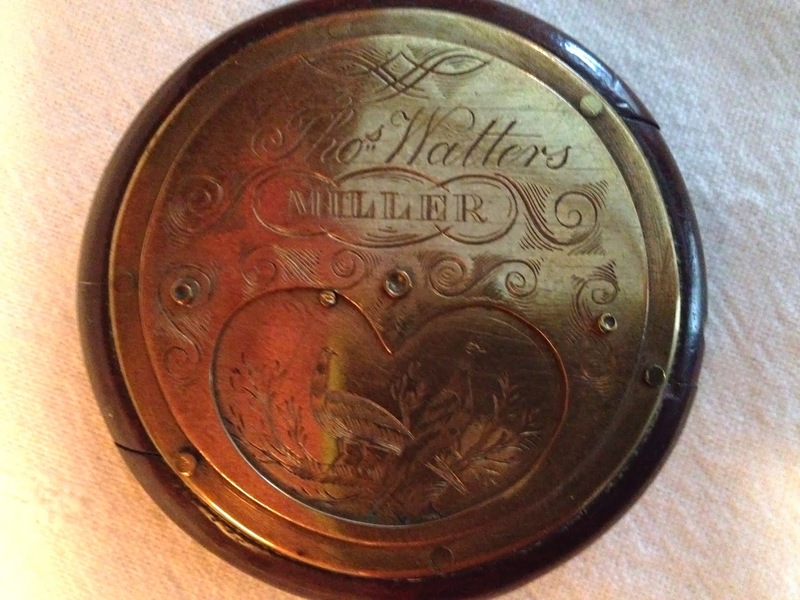 Top of wood and brass antique snuff box engraved for a local miller named Thomas Watters. The heart that you see has a beautiful peacock engraved on it. 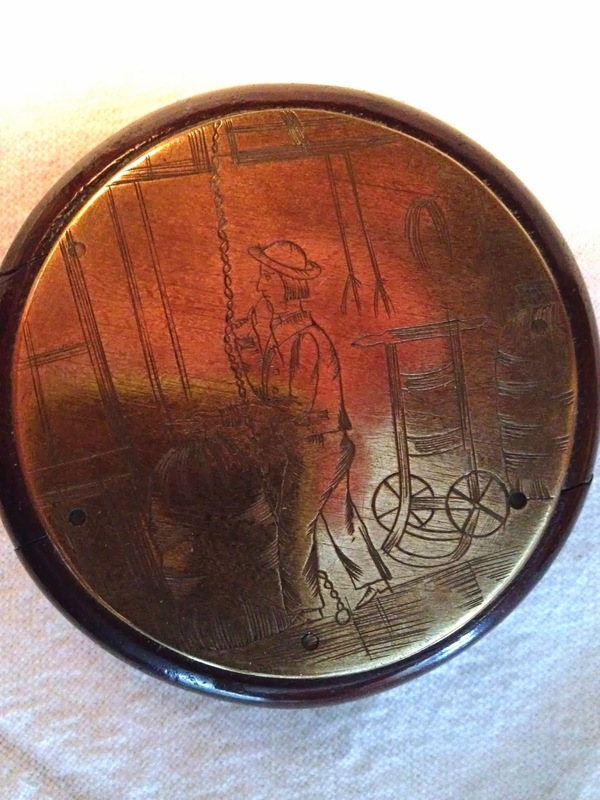 And that is where you open the snuff box. It's rather tricky to do!